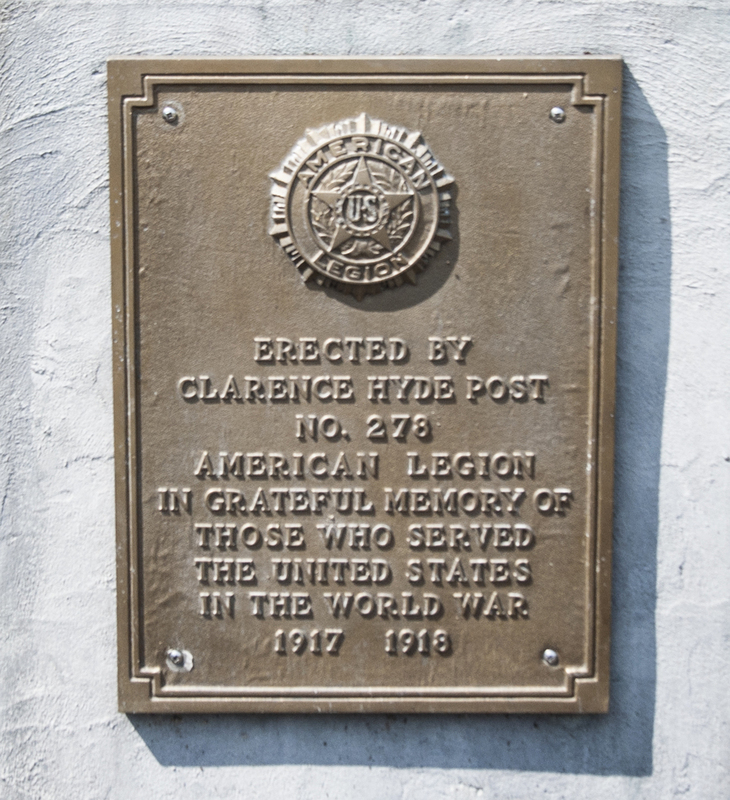 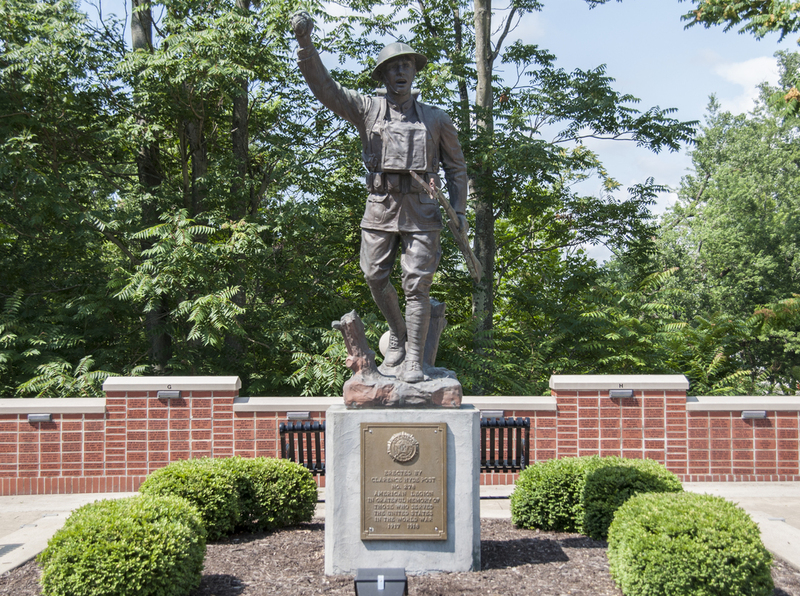 This World War I memorial features one of the famous E. M. Viquesney Doughboys, which were massed produced during the 1920s and 1930s to honor the fallen and injured of the Great War. 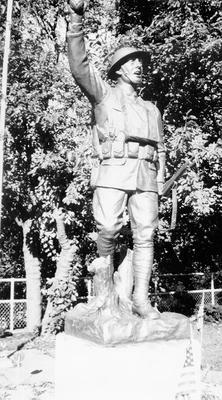 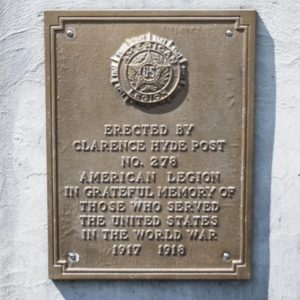 The pressed copper statue is of an American soldier from WWI. 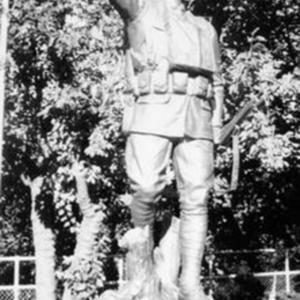 He is in a forward stride motion and is holding a bayoneted rifle in his proper left hand while raising a grenade high up in his proper right hand. 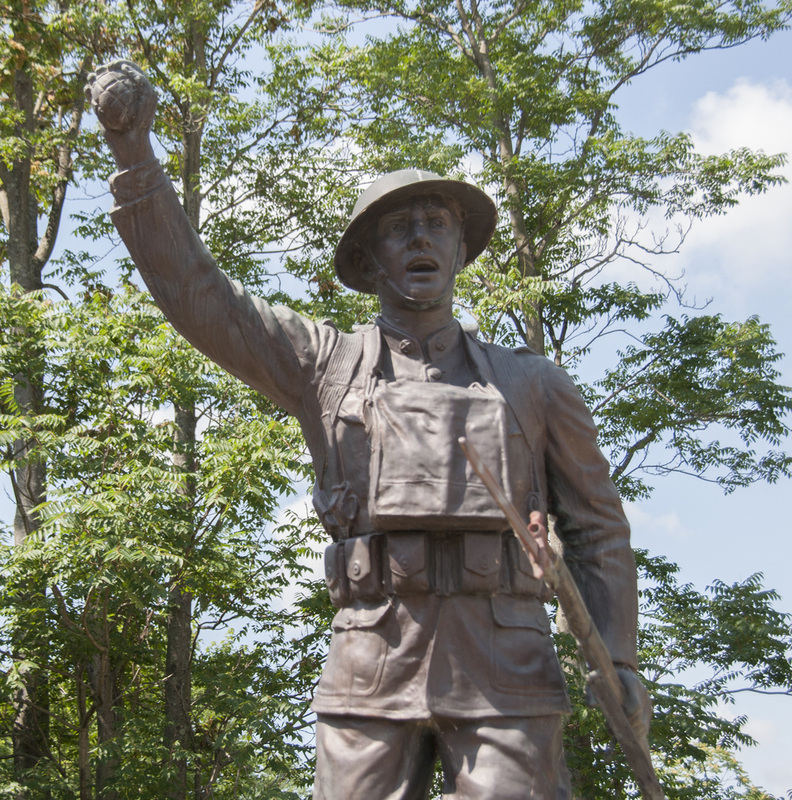 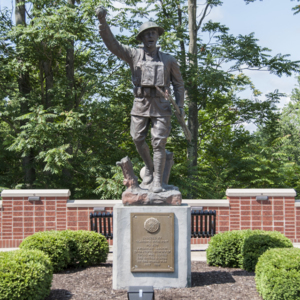 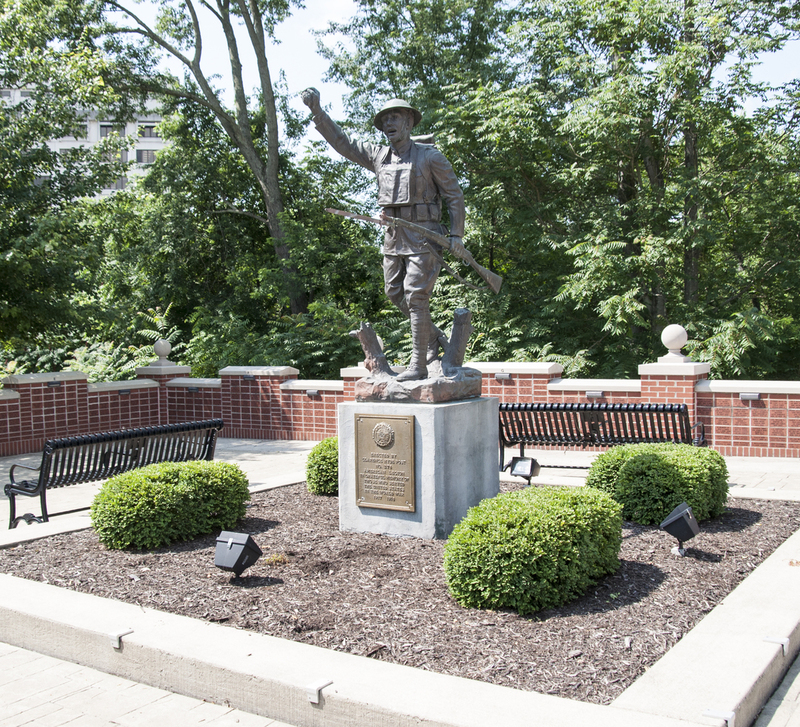 : E. M. Viquesney, “Spirit of the American Doughboy,” Ohio Outdoor Sculpture Inventory, accessed April 22, 2019, http://oosi.sculpturecenter.org/items/show/1543.